As we dive deep into the snowy winter season of Colorado, the adrenaline rush of shredding down the slopes of the Rocky Mountains is upon us. 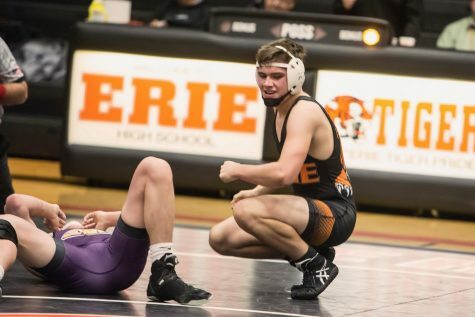 Many students at Erie High School participate in winter sports at the school such as boys and girls basketball, swimming, and wrestling. While these are great athletics to get involved with in school, many students also participate in winter sports outside of the school as well. Two of the most common winter sports participated in outside of school are skiing and snowboarding. 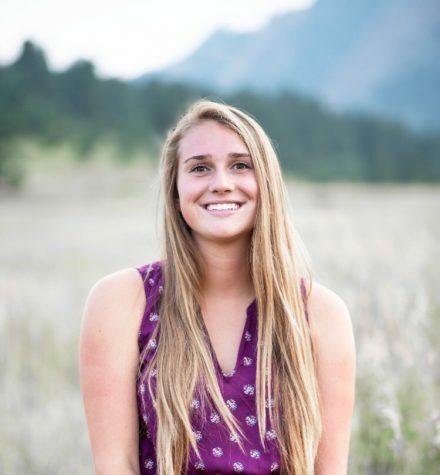 Many students across Erie High School join in these fun sports, especially considering that Colorado is such a great place to do it. 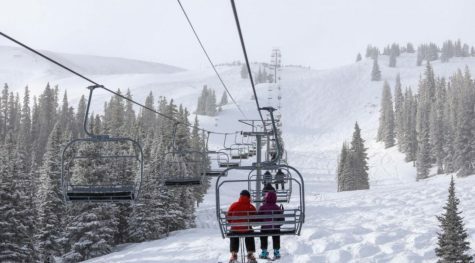 There are many amazing ski resorts all across Colorado with lots of different types of terrain and levels of skiing and riding. It is also very convenient considering these amazing slopes are just a drive away into the mountains that we see standing beautifully from our very own high school. Sakalosky learned to snowboard there, and loves to continue to go back there every time she heads up to the slopes. These are just two of the plethora of awesome resorts to go to, and they are only a couple hours drive, which is nice for kids to be able to go to on the weekend or days off of school. One reason why many kids who, despite living in the amazing mountain state of Colorado, haven’t gone skiing is because it is a very expensive sport. With all of the equipment included as well as lift passes it can really add up, but for many of the Erie kids it is still worth it to be able to have that amazing feeling of flying down the mountain. A day up on the mountain with the snow flying up behind you, the winter air biting your nose, the stunning views ahead of you, and the sun up ahead can be such a wonderful feeling to have. It is also a good way to get exercise as well as a break away from all the stresses of everyday life. In addition, it can also be the perfect opportunity to spend time with family and friends, and to take plenty of artsy pictures as well. Skiing and snowboarding are great sports to be involved in, especially living in the state that we do. Plenty of kids across Erie High School would agree that these sports are one of their favorite parts about the winter season. If you haven’t yet this season, don’t be afraid to take advantage of a weekend in the mountains and hit the slopes while you’re up there! 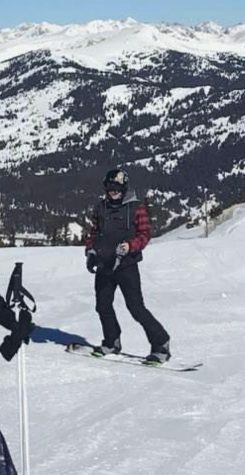 This picture was taken of Hunter Rosebrough (12) when he was snowboarding at Copper Mountain.